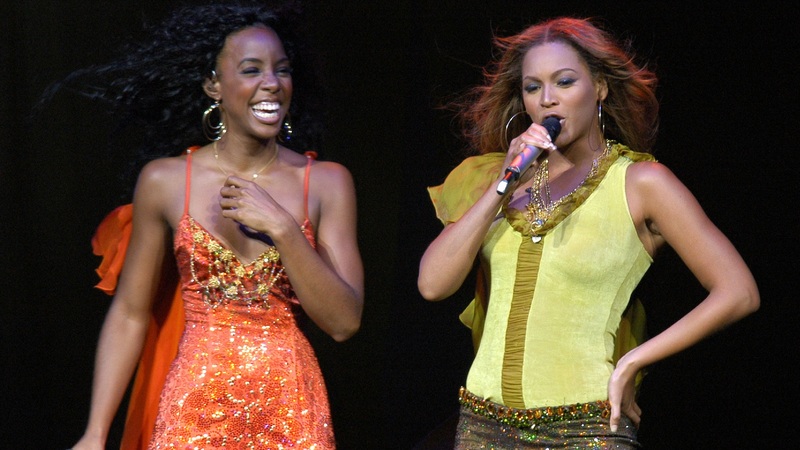 Beyoncé and former Destiny’s Child bandmate Kelly Rowland go way back — which is exactly where Beyoncé threw it on Instagram in honor of her longtime BFF’s 38th birthday. While we don’t know the story behind some of those references, the prevailing sentiment is clear — Beyoncé and Rowland have a lot of history and share more memories, secrets and inside jokes than we can probably imagine. In fact, the women have often alluded to their tight bond over the years. That same year, Rowland told The Breakfast Club on Power 105.1 that she and Beyoncé always keep up with each other’s lives. “The last time me and Bey were together was like two weeks ago, when I stopped by rehearsals and we talked about everything else. We really, really do. We talk about playdates with the kids, and we talk about vacations and new opportunities,” Rowland said. While Beyoncé and Rowland’s friendship obviously plays a beloved role in Rowland’s life, she shared a throwback photo last week representing another important relationship: the one with herself. “My Dearest Kelly, Let me start by saying what a smart young lady you are, you were born a Queen! And even though the world doesn’t show you enough beautiful images of yourself, you are one of a kind, and don’t let ANYONE tell you different,” Rowland began a post attached to a picture of herself as a young girl. With an attitude like that and friends like Beyoncé by her side, Rowland is sure to have one heck of a year.